Look at those eyes. In their time, in their prime, they must have held all the power of incantatory spells. They were the eyes of a killer. 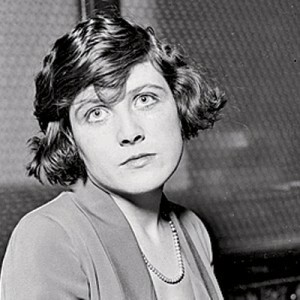 They belonged to Beulah Annan, who was the inspiration for Roxie Hart of Chicago — the 1924 play, the 1927 silent, the 1975 musical and the 2002 Oscar-winning film (and that 1942 Ginger Rogers flick). A married woman accused of shooting her lover in the back, Annan’s murder trial was inescapably tabloid-ready. And as Douglas Perry explains in his new book, The Girls of Murder City: Fame Lust, and the Beautiful Killers Who Inspired Chicago, all Chicago was ready for a ripping-good yarn. Except, arguably, for Belva “Belle” Brown, more formally known as Mrs. William Gaertner as well as “Stylish Belva,” whose own sordid accused-murder tale scored headlines a few weeks before Annan’s. A multiple divorcee and cabaret performer, she was the inspiration for the one and only Velma Kelly. The creator of these inspired characters was Maurine Dallas Watkins, an aspiring Indiana-born playwright who created Chicago after covering the trials of Annan and Gaertner at the bootleg-era began to crest. Raised proper and prim but smitten with the idea of writing, Watkins had the good luck to become a “girl reporter” at the Chicago Tribune as these cases came to light. Women reporters beyond the society or fashion beats were exceptionally rare; Watkins faced most of her competition from the hard-charging Genevieve Forbes and the unyielding Ione Quimby. William Scott Stewart and his partner, W.W. O’Brien, had come on the case that morning, with some reluctance. The two lawyers always fretted about getting stiffed for the bill. Sometimes it seemed that running down payment from clients took as much time as trying cases. Stewart, at the age of thirty-four, and O’Brien, a decade older, demanded cash up front, though for the right client, they still accepted partial payment, along with an acceptable explanation for how the rest would be raised. [Beulah’s husband] Al Annan didn’t have an acceptable explanation — no wealthy family members, no significant assets he could liquidate. But after seeing Beulah Annan’s picture in the morning papers, Stewart and O’Brien decided to make an exception. They took the case. While Stewart, married with a son, “prided himself on being a reliable man on the darkest of days” and “loved the law and his own intellect above all else,” O’Brien, for 12 years after law school a theatrical promoter, regarded women to be of “paramount interest.” Just Beulah’s luck. Perry would be playing too broad, mostly to the upper mezzanine — in other words, to cheap sentiment — if his history of Watkins’ play and the women who inspired them ceased right there. After all, two accused glamor-puss murderesses, however crafty or sympathetic, do not a crime wave make.